You are currently browsing articles tagged George Gillespie. What follows provides us with an interesting insight into the process of licensure and ordination for ministerial candidates nearly 300 years ago. Here too, our readers find out where our masthead comes from, namely the source of today’s post: Historical Discourse of the 150th Anniversary of the Upper Octorara Presbyterian Church, by J. Smith Futhey, Esq. “The Rev. Adam Boyd, who was the first regular pastor of this Church, was born in Ballymena, county Antrim, Ireland, in 1692, and came to New England as a probationer [in this context, the word means that he was licensed to preach] in 1722 or 1723. While there, he preached at Dedham. After remaining there for a time, he concluded to return to his native country, and was furnished by the celebrated Cotton Mather—who esteemed him well—with a certificate of his good character in this country, dated June 10, 1724. He, however, had formed an attachment to a daughter of Rev. Thomas Craighead, one of the pioneers of the Irish Presbyterians of New England, and, relinquishing his design of returning home, came to Pennsylvania, whither Mr. Craighead and his family had shortly preceded him, bringing with him the commendatory letter of Cotton Mather, as well as credentials from Ireland, and was received under the care of New Castle Presbytery. The following is the minute of Presbytery on the occasion of his reception: “July 29, 1724. The testimonials of Mr. Adam Boyd, preacher of the gospel, lately come from New England, were read and approved, and he being interrogated by the moderator, whether he would submit to this Presbytery, he answered that he would, during his abode in these parts .” Mr. Craighead had been received as a member of Presbytery on January 28, 1723-24. “On the same day on which Mr. Boyd became a member of Presbytery, he was sent as a supply to Octorara, with directions to collect a congregation also at Pequea, and take the necessary steps towards its organization. He was so acceptable to the people that at the next meeting of Presbytery, September 14, 1724, a call was presented for his services as a pastor by Cornelius Rowan and Arthur Park, representatives of the people at Octorara and Pickqua. This call was accepted by him on the 6th of October, and at the urgent request of the commissioners who presented it, that an early day should be fixed for his ordination, the Presbytery met at the “Ackterara Meeting House” on the 13th of October, 1724, for that purpose. “At this meeting of Presbytery—the first held on this spot—there were present as members, Thomas Craighead, of White Clay creek, George Gillespie, of Head of Christiana, Henry Hook, of Drawyers, Thomas Evans, of Pencader, and Alexander Hutchinson, of Bohemia, ministers, and Peter Bouchelle, elder. Mr. Craighead presided as Moderator. To those of our readers who are not ordained teaching elders, the setting aside of qualified men to the office of the ministry in our Presbytery meetings may indeed sound foreign. But in another sense, those who are not ordained and not attenders of your regional Presbytery meetings still have the written record of Holy Scripture, such as 1 Timothy 4:14, where Paul wrote to young pastor Timothy and said, “Do not neglect the spiritual gift within you, which was bestowed on you through prophetic utterance with the laying on of hands by the presbytery.” (NASV) The laying on of the hands of the presbytery in our regional meetings have a biblical basis to them! It may indeed be a worthwhile day for you to attend as a layman or laywoman the proceedings of your local Presbytery some Saturday, or whenever they meet during the week. Visitors are welcome. Just talk to your pastor or a ruling elder for information on the next meeting. It will enable you to pray more for your church, see the work of the Spirit in other nearby churches, and realize anew the biblical basis for being a Presbyterian! Recent weeks have seen the publication of a revision edition of the magnum opus of the Rev. 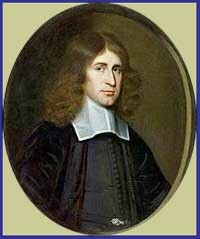 George Gillespie 1648], a Scottish Presbyterian pastor who served most notably as one of the Scottish commissioners to the Westminster Assembly. Since we will undoubtedly touch upon that young man at some latter date, we wish to dispel any confusion, and so our post today concerns a later pastor by the same name, also a Scot, but in this case an immigrant to the American colonies. “George the Lesser,” if you will, and of no know relation to the former and better known Gillespie. George Gillespie was born in Glasgow, Scotland, in the year 1683, and was educated at the University in his native city. He was licensed to preach by the Presbytery of Glasgow early in 1712, and subsequently came to New England in the spring of that same year, bringing a letter of recommendation from Principal Sterling to Cotton Mather. 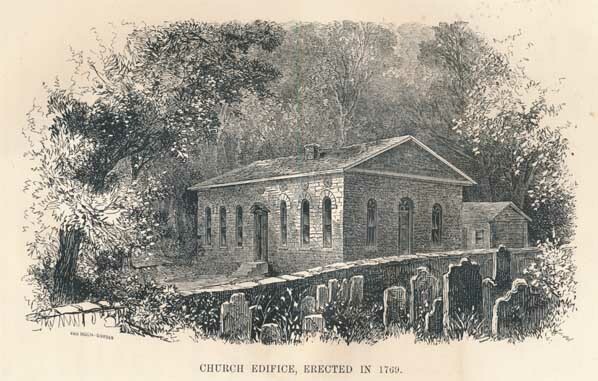 The congregation at Woodbridge, New Jersey was at that time in a distracted state, and the ministers of Boston, having been made acquainted with it, judged Mr. Gillespie to be a suitable person to be introduced there, with a view to heal some of the existing divisions. He accordingly was introduced by their recommendation; but, though his course was altogether prudent and conciliatory, and he was received at first in a way that seemed to promise the happiest results, circumstances still more adverse to the harmony of the congregation subsequently occurred, that left him with little hope of accomplishing the desired end. Shortly after this, he received a communication from the Presbytery informing him that the people of White Clay had petitioned for a minister; and, if he left Woodbridge, he was ordered first to supply that people. He received a call from the congregation of White Clay Creek, and on the 28th of May, 1713, was ordained by a Committee of three; having preached the day before on Galatians iv. 4, 5; and delivered an Exegesis on–“An Christus pro omnibus et singulis it mortuus?” These exercises, as well as his examination in the original languages, philosophy, and theology, were highly acceptable. His charge seems to have embraced, for several years, besides White Clay,–Red Clay, Lower Brandywine, and Elk River. He is said to have organized the congregation of the Head of Christiana, and he served that church until his death, which occurred on January 2d, 1760. Rev. Gillespie was zealous for the interests of the Church, and accordingly he was particularly zealous for strict discipline, and three times entered his protest, when he thought offenders were too leniently dealt with. In one instance he informed his Presbytery that he would publish animadversions on the undue tenderness of the Synod, but they absolutely prohibited his doing it. He was remarkably punctual in his attendance on meetings of the Presbytery and Synod, as well as in bringing a contribution to the fund. On the great question of the Protest, he did not vote. Having, in all the previous trying sessions, laboured earnestly for the peace of the Church, he withdrew with the excluded brethren, and signified his willingness to be of their number, though he does not appear to have met with them afterwards. He remained neutral till 1744, when he returned to the Old Synod. In discussing the terms of union, he objected to being required to acknowledge what was generally styled–“the great revival,” to be “a glorious work of grace.” He had seen so many sad issues from hopeful beginnings, so much that he deemed reprehensible in the course of some of the leaders in the work, such wild confusion and wide spread division connected with it, that he could not conscientiously give it his unqualified sanction. Sprague, William Buell, Annals of the American Presbyterian Pulpit, vol. 1, pp. 19-20. Birmingham, AL: Solid Ground Christian Books, 2005. A Treatise against the Deists or Free-Thinkers: Proving the Necessity of Revealed Religion. Philadelphia: Printed for the Author by A. Bradford, 1735. 62 p.; 26 cm. A Sermon against Divisions in Christ’s Churches. Philadelphia: Printed by A. and W. Bradford, 1740. Remarks upon Mr. George Whitefield, proving him a man under delusion. [five lines of Scripture texts]. Philadelphia: Printed by B. Franklin, for the author, 1744. 24 p.